Welcome to our second Newsletter to tell you about our works. 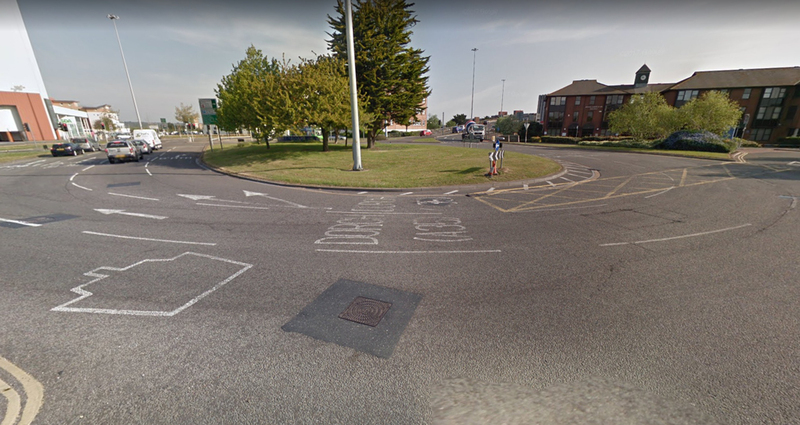 As you will see the Hunger Hill roundabout will soon become a junction with traffic lights rather than the current roundabout layout. Some of the roads surrounding will change to one way and lanes and islands will be altered extensively. At the moment it probably looks as though we are just flattening everything and tarmacing over the whole junction so here’s a bit of an explanation as to what we are doing and why. In order to make the changes work we need to alter the position of most of the traffic islands and alter many of the junctions and central reservations. To do this we need to change the position of some of the surface water drainage and routes for traffic signal and street light cables. Many of the new drainage and cable runs need to cross live carriageways. The last few weeks we have been concentrating our efforts on removing islands that are no longer required in their current locations. Whilst we have the islands dug up we are installing as much drainage and cabling beneath them as we can. We take extra lane widths at off peak times between 0900hrs and 1630hrs to give us access to our working areas and provide safety zones for our workers and to protect the public from our works. We are temporary tarmacing the islands we dig up so that we have space to move traffic lanes around temporarily which will then allow us to build islands in their new locations and install drainage and cabling that goes beneath and link sections together. Once we have removed the islands and completed sufficient cable routes the junction will be changed to the new traffic light layout. We will then commence building new islands, footpaths etc.